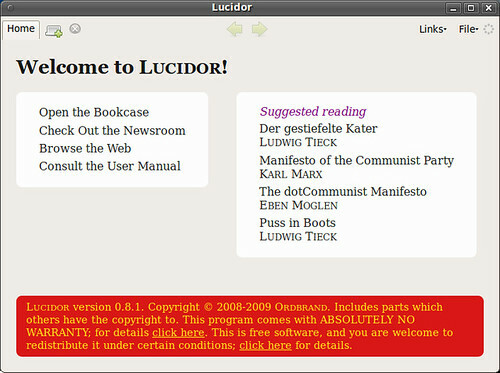 "Lucidor provides functionality to: - Read EPUB e-books. - Organize a collection of e-books in a local bookcase. - Search for and download e-books from the internet - Convert web feeds into e-books."